Bengaluru star Srikanth continued his unbeaten streak this season, winning all three of his matches so far. It was a must-win match for both Bengaluru and Delhi in PBL and the former triumphed. 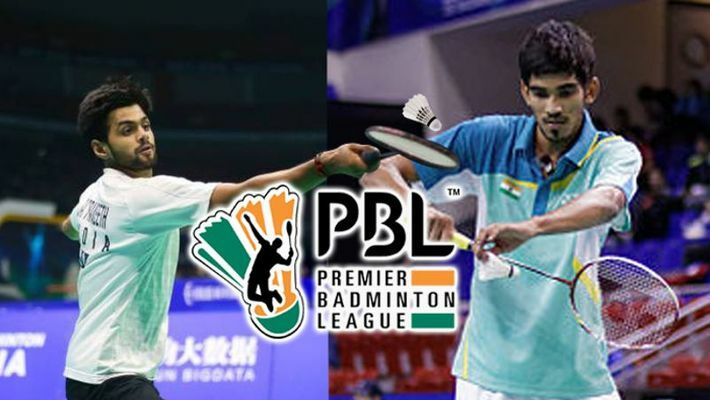 Bengaluru: Skipper Kidambi Srikanth and B Sai Praneeth put up a strong show as Bengaluru Raptors defeated former champions Delhi Dashers in a Premier Badminton League (PBL) Season 4 match on Wednesday. With this, Srikanth continued his unbeaten streak this season, having won all three of his matches so far. In the first rubber of the game, Bengaluru's Sai Praneeth met his Pullela Gopichand Academy training partner HS Prannoy, who represented the Delhi franchise. When the match started, it was evident that Prannoy, already hobbling due to a right knee injury, wasn't at his best. Facing breathing issues, the Indian national champion had a hard time stringing together points. Sai showed beautiful control of the shuttle to build a 6-2 lead. It was only after the mid-game break that Prannoy started showing signs of resurgence and drew level at 10-10 before Praneeth dashed his hopes with a 15-12 score-line. Having gone down 8-10 in the second game, Prannoy found his second gear to explode to 13-10. With the score tied at 14-14, a struggling Prannoy dished out a wonderful drop shot to take the second game. Sai cut down on his errors to take an 8-6 lead in the decider and extended it to 12-8 with a superb round-the-head shot, and finally shut the match 15-12 14-15 15-13. Bengaluru began their mixed doubles on a grand note, racing away to 5-0 through Commonwealth Games silver medallists Marcus Ellis and Lauren Smith. But a spirited fightback from Delhi's Maneepong Jongjit and Evgeniya Kosetskaya saw the latter snatching the game to 15-13. Agile as ever, the Thai shuttler continued his brilliant show and carried the Dashers to 12-9 before adding the next three points as well to pocket a 15-13 15-9 win. Riding on his jump smashes, Bengaluru captain Srikanth went ahead to 6-2 against Delhi's Tommy Sugiarto. Looking fully in control of the play, he was relentless as he kept the scoreboard ticking to move up to 12-6, and then grabbed the one-sided opener 15-6. The Indonesian showed real character to force an 8-3 turnaround in the next game. Srikanth went on a lull to allow Sugiarto to build a 13-8 advantage. A brief spark from the Indian couldn't stop Sugiarto, who pocketed the game. The former world no. 1, however, managed to rebound strongly in the deciding game. Varying his shots, the aggressive Srikanth quickly went up to 8-4 as his opponent started looking more and more clueless. It was just a matter of time before the Raptors man wrapped up the rubber with a 15-6, 12-15, 15-10 victory. Bengaluru ended the day with a 2-1 win and are currently in the fifth spot on the table with nine points.